One choice can transform you—or it can destroy you. But every choice has consequences, and as unrest surges in the factions all around her, Tris Prior must continue trying to save those she loves—and herself—while grappling with haunting questions of grief and forgiveness, identity and loyalty, politics and love. Tris's initiation day should have been marked by celebration and victory with her chosen faction; instead, the day ended with unspeakable horrors. War now looms as conflict between the factions and their ideologies grows. And in times of war, sides must be chosen, secrets will emerge, and choices will become even more irrevocable—and even more powerful. Transformed by her own decisions but also by haunting grief and guilt, radical new discoveries, and shifting relationships, Tris must fully embrace her Divergence, even if she does not know what she may lose by doing so. New York Times bestselling author Veronica Roth's much-­anticipated second book of the dystopian . . .
Series : Book of "Divergent"
All three books in the #1 New York Times bestselling Divergent trilogy are available together for the first time! Perfect for gift givers, collectors, and fans new to the series, the collection includes Divergent, Insurgent, and Allegiant, as well as bonus content: a 48-­page guide to the series, including Faction Manifestos, a Faction Quiz and Results, a Q&A with Veronica Roth, playlists, discussion questions, series inspirations, and much more!­Divergent: One choice can transform you. Veronica Roth's #1 New York Times bestselling debut is a gripping dystopian tale of electrifying choices, powerful consequences, unexpected romance, and a deeply flawed "perfect society.­"Insurgent: One choice can destroy you. Veronica Roth's second #1 New York Times bestseller continues the dystopian thrill ride. As war surges in the factions all around her, Tris attempts to save those she loves—and herself—while grappling with haunting questions of grief and . . . Fans of the Divergent series by #1 bestselling author Veronica Roth will be delighted by "The Initiate,­" the second of four stories set in the world of Divergent told from Tobias Eaton's point of view. 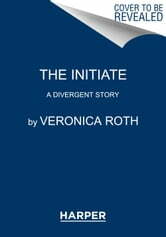 "The Initiate" provides readers with a glimpse into Tobias's Dauntless initiation experience, including an epic game of late-­night Dare; his first tattoo; the beginning of his passion for training new initiates; and his nascent understanding of the danger of being Divergent. Fans of the Divergent series by #1 bestselling author Veronica Roth will be captivated by "The Transfer,­" the first of four stories set in the world of Divergent told from Tobias Eaton's perspective. In "The Transfer,­" readers witness Tobias's aptitude test, Choosing Day, and the moment he is given the infamous nickname "Four.­"
Series : Book 2 of "Divergent"
#1 New York Times bestselling author Veronica Roth retells a pivotal Divergent scene (chapter 13) from Tobias's point of view. This thirteen-­page scene reveals unknown facts and fascinating details about Four's character, his past, his own initiation, and his thoughts about new Dauntless initiate Tris Prior. Fans of the Divergent series by #1 bestselling author Veronica Roth will be excited by "The Traitor,­" the fourth of four stories set in the world of Divergent told from Tobias Eaton's point of view. "The Traitor" takes place two years after "The Son" and runs parallel with the early events in. In this robust story, readers follow Tobias as he uncovers the details of an Erudite plan that could threaten the faction system, and makes plans of his own to keep Abnegation safe. At the same time, Tobias is getting to know a new transfer initiate: Tris Prior. All three books in the #1 New York Times bestselling Divergent trilogy are available together for the first time! Perfect for gift givers, collectors, and fans new to the series, the collection includes Divergent, Insurgent, and Allegiant, as well as bonus content: a 48-­page guide to the series, including Faction Manifestos, a Faction Quiz and Results, a Q&amp;­A with Veronica Roth, playlists, discussion questions, series inspirations, and much more!­Divergent: One choice can transform you. Veronica Roth's #1 New York Times bestselling debut is a gripping dystopian tale of electrifying choices, powerful consequences, unexpected romance, and a deeply flawed "perfect society.­"Insurgent: One choice can destroy you. Veronica Roth's second #1 New York Times bestseller continues the dystopian thrill ride. As war surges in the factions all around her, Tris attempts to save those she loves—and herself—while grappling with haunting questions of grief and forgiveness, identity and loyalty, . . .